Posted in: Bridal Bouquets, Weddings. Tagged: Caprice Palmer, Enchanted Florist, Kristyn Hogan Photography, Nashville Wedding Florist, Wedding Flowers, White bridal bouquets. If there is one bloom every bride dreams of for her wedding bouquet, the peony is it. Lush, fragrant and delicately romantic, peonies are a perfect fit for a wedding. 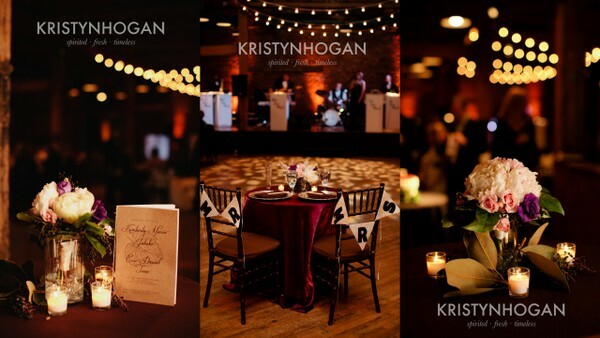 Kimberly and Eric’s New Year’s Eve wedding took place at Downtown hotspot aVenue and was shot by the oh-so talented, Kristyn Hogan (simply stunning work!). 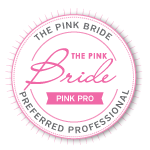 The bride opted for white peonies mixed with pink spray roses and blue juniper berries, making for a stunning compliment to her gorgeous dress. 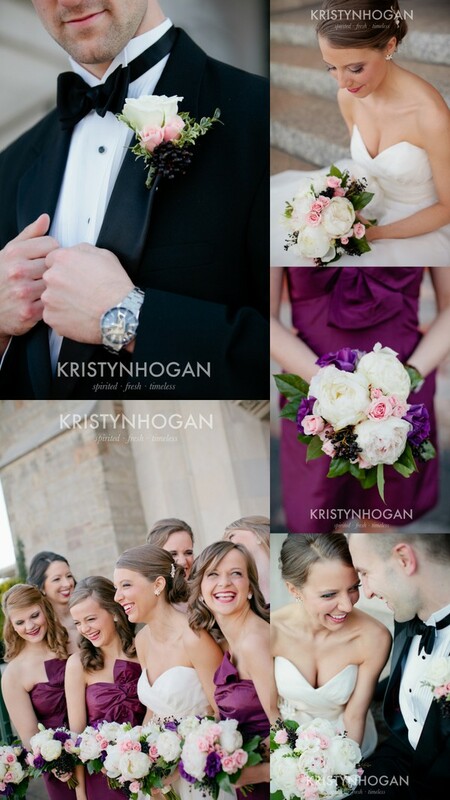 Meanwhile, the bridesmaids’ bouquets included accents of purple lizianthius, coordinating with their purple dresses. Eric’s boutonniere was a mini-version of Kimberly’s bouquet though we used a white rose instead… the larger peony bloom is a bit too delicate to be pinned to a lapel. The end result is peony perfection! ← Color Burst: Bright Bridal Bouquets! 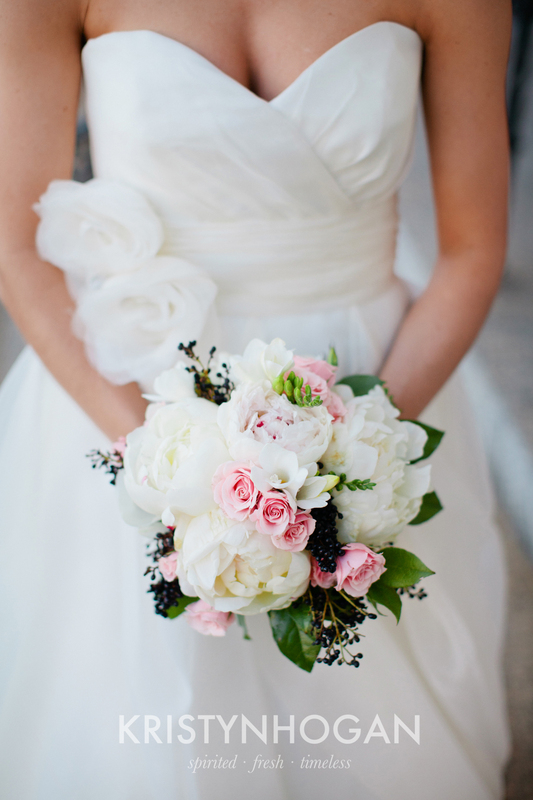 Wow those are beautiful white peony wedding bouquets!